One of the biggest and most troubling questions that mesothelioma patients and their families give voice to when considering filing a mesothelioma lawsuit is whether they are going to be able to pay for an attorney to file a suit on their behalf. 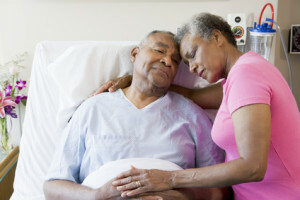 In the face of rapidly mounting medical bills and the certainty that (if they haven’t already retired) they will be forced to quit working because of their deteriorating condition, the thought of having to pay a large retainer’s fee to a lawyer often stops people in their tracks and makes them give up on the idea of seeking compensation for the damages that they have suffered. When you file a mesothelioma lawsuit with the experienced, qualified mesothelioma attorneys, you do not have to pay a retainer’s fee or any type of fee at all. From the time that you make your first appointment with our staff to the end of the proceedings, you will not be asked for a penny out of pocket. The law firm works on what is known as a contingency fee. What this means is that if we don’t win for you then we don’t get paid – and when we do win for you we don’t get paid until you get paid, and then we just take a percentage of what you’ve been awarded. This provides you with the financial freedom of knowing that you are receiving highly skilled legal representation that is working on your behalf, without you having to worry about how to pay the bills. Contingency fees are attorneys’ fees that are conditional; they are only charged in the event that the attorney actually wins an award on behalf of the client that he is representing. They are generally structured as a percentage of the net amount that is won, which means that after the settlement or trial award has been determined, the actual costs of pursuing the lawsuit are calculated and the law firm then takes a percentage of the amount that remains, with the plaintiff, or person on whose behalf the lawsuit has been filed, keeping the balance of the monies. What this means for the mesothelioma client is that no matter how long a case takes to be resolved, they will never receive a bill or need to pay for any of the attorney’s or law firm’s expenses incurred in handling the case. Contingency fees have many advantages for plaintiffs in a mesothelioma case. The most obvious of these advantages is that attorneys’ fees are notoriously high, and the thought of paying hourly fees and expenses to an attorney while at the same time racking up tens of thousands of dollars in medical bills to pay for mesothelioma treatment is overwhelming. When you file a mesothelioma lawsuit and your attorney’s fees are based on the contingency that they only get paid if they win, it provides a very strong incentive for the attorney to work very hard for you and to get the job done as quickly as possible, because the more that they win for you, the higher the compensation that they receive for their hard work. Contingency fees mean that the law firm is taking on all of the financial risk, and that tells you that your case is strong. It also tells you that the attorney and his support staff will be working as quickly and efficiently as they can; if they are not getting paid billable hours, then every hour they spend on the case is costing them money. If you or someone you love has been diagnosed with mesothelioma, it is likely because a company exposed you to asbestos and put you at risk, and you may be entitled to compensation for your injuries including your medical bills, your expenses, and your pain and suffering. The idea of filing a mesothelioma lawsuit can be very daunting and confusing, so the best place for you to start is to sit down with somebody who understands all of the ins and outs of the law, of the disease, and of what you’re going through.